This is a die-cut Old Fort Feeds porcelain sign. This particular Old Fort Feeds sign is predominantly white with red and blue print. 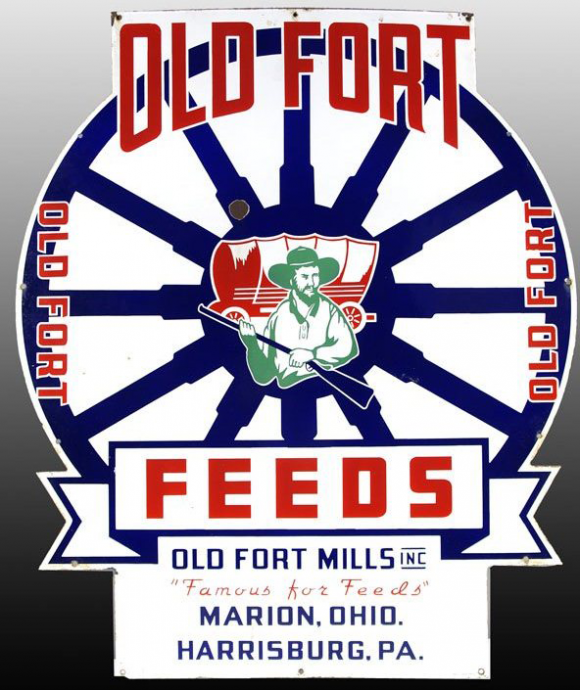 It reads, “Old Fort Feeds, Old Fort Mills, Inc., Famous for Feeds, Marion, Ohio, Harrisburg, PA.” and features a pioneer man in front of a red covered wagon in the center.